I'm really excited today because I've teamed up with my amazing artist sister, Holly Platt, to bring you a new series. Art is extremely important to me. And I believe it is extremely important in design. It is a very personal expression of the things that we find beautiful or that speak to us in some way. Sometimes, however, it can be tricky to make art work in a space. 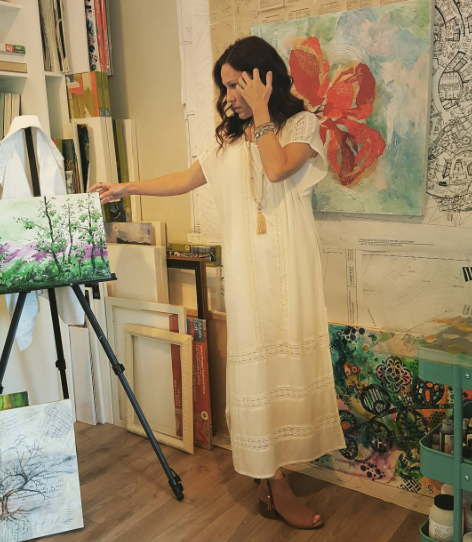 I love to use art as a jumping off point for many of my spaces and that is what Holly and I thought would be a fun idea to share with you. Today, we're starting with this beautiful piece by Holly called Winter Birches. 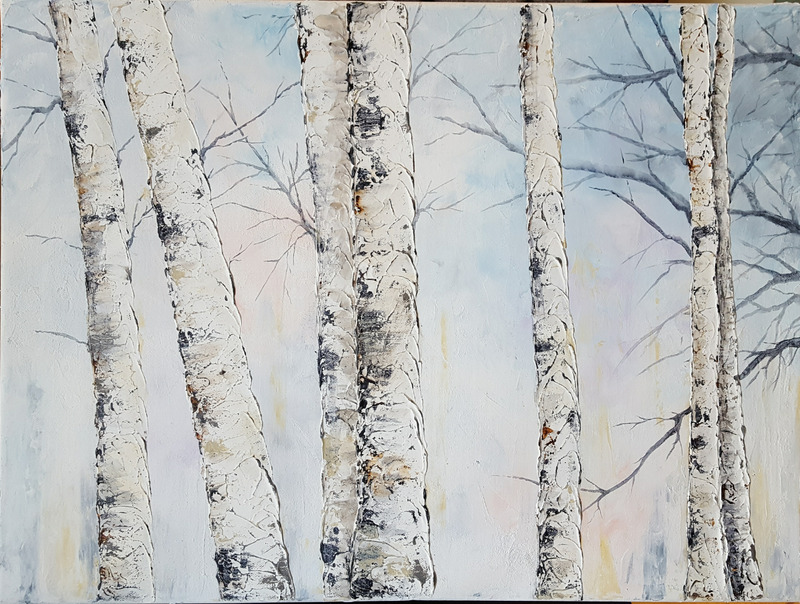 It is an 18x24 acrylic on canvas. 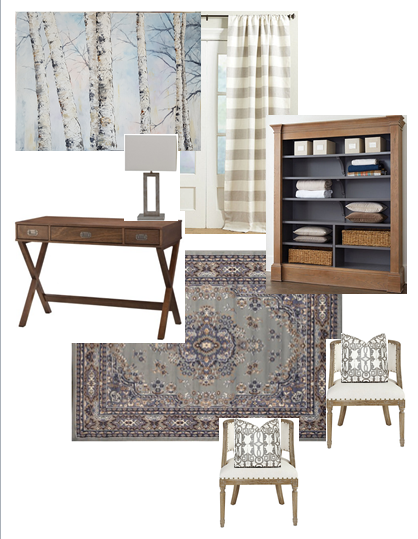 I ran with the silvers and cool blues of the winter-y landscape and warmed the space up with natural woods. I think a room like this would be amazing with either white or moody blue walls depending on whether you want to take the space in a more feminine or a more masculine direction. You can see from the inspiration board, how the art really does set the tone for the space. The color, the mood, the wood tones...all of them were pulled directly from the artwork. And stay tuned for our next installment of Art-spiration!